There’s nothing worse than a terrible decision where the winner loses and the loser clearly wins. Unfortunately for both fighters and fight fans, it’s more commonplace than you think. As for more recent robberies, this one certainly stands out. 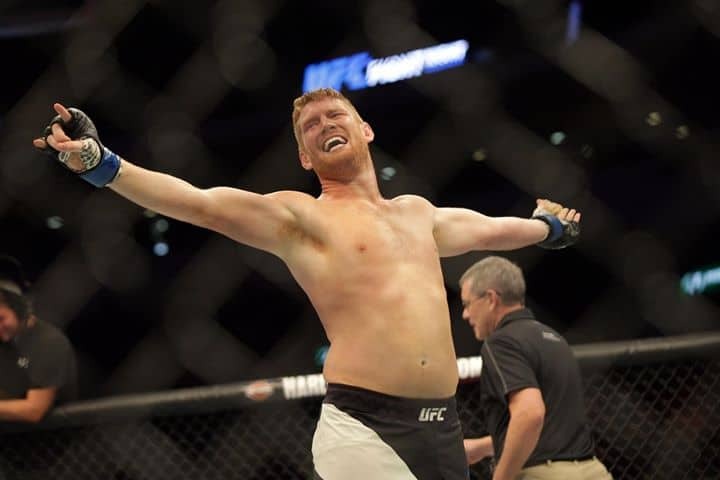 When ‘Smilin’ Sam Alvey called out Gian Villante following Alvey’s victory in his light heavyweight debut, fight fans oddly took notice. Sure, they weren’t the biggest names in the division, but both men are known scrappers with some thrilling knockout victories to their name. Which is why the fight itself felt massively deflating watching it play out. Alvey resorted to the kind of extreme bouts of inactivity he’s been known for when he can’t score the knockout. Alvey did manage to knock his opponent down towards the end of the first round, but there wasn’t enough time left to finish him. Meanwhile, Villante did his best to cut off the cage and corner Alvey. The Long Island native showed excellent Octagon control and was winning the fight beyond the flash knockdown at the end of round one. So it wasn’t too surprising to see the crowd react the way they did once the split decision was announced in Alvey’s favor. That one knockdown apparently negated the other 14 minutes and 45 seconds where Villante controlled the fight. An obviously disappointed and stunned Villante left the arena scratching his head at how he could have lost that fight, and fight fans were left just as confused. Sometimes, a single knockdown can win over the judges, even more so than the remaining 15 minutes of the fight.